The traffic situation in Philippine urban centers such as Metro Manila, Cebu City, Baguio City and Cagayan de Oro City is not only an economic problem (the manhours lost while our workforce is caught in traffic) but an environmental problem as well (the amount of carbon uselessly being emitted to the atmosphere). There are already been numerous recommendations on how to solve the traffic problem --- from truck bans to color-coding to odd-even scheme to ride-sharing to barring people (who do not have parking spaces in their homes) from acquiring vehicles. The last one (disallowing people to buy vehicles), however, may infringe on a right of citizens to acquire property guaranteed under our Constitution. But what is the primary cause of traffic? Studies upon studies made seem to point to the following common causes: (1) Inadequate infrastructure; (2) The lack of mass transport systems; (3) Too many new vehicles being introduced to the same road network; (4) Road encroachment; and, (5) A driving culture which is largely offensive and undisciplined. Item No. 5 (lack of discipline) is caused by drivers and pedestrians alike… and the twisted system by which drivers are able to get licenses even if they do not have the slightest idea of traffic rules and regulations and what driving courtesy is all about. There are some who are of the opinion that if these undisciplined and unknowing drivers are not given driver’s licenses, this may also be another measure to limit vehicles on the road and ease traffic congestion. Graft and corruption, which has permeated in the LTO, is nothing new. It is the same system that allowed a legally blind man to acquire a driver’s license. 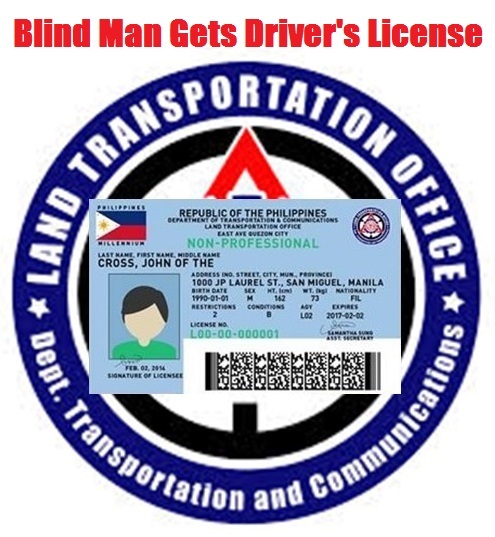 Will the Department of Transportation and Communications and the Land Transportation Office be able to sustain a graft and corruption-free program to weed out unqualified drivers and therefore limit the number of vehicles on the road? Will the DOTC and LTO be able to keep smoke belchers away from the road? Can the DOTC and LTO be effective guardians of air pollution and the environment? 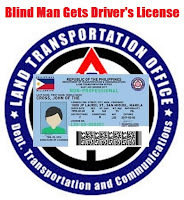 Or will another banner headline scandal happen again… that says: a blind man gets driver’s license. Vauxhall car dealers in Stafford have been massively influenced in addition to quite a few used cars in Stafford which have also dvla contact numbers been removed and that are awaiting the crush by the DVLA.